When the weather is hot, we tend to drink lots of water to stay hydrated? Sometimes, it doesn’t work. You may start to find other ways, maybe soft drink can help to quench the thirst. Today, I came across an article about drinking carbonated soft drinks. Did you know that soft drinks can escalate your blood pressure? According to a new study, adults who consumed more than two and a half cans of soft drinks (equivalent to 74g of fructose per day) would increased the risk of developing high blood pressure by 36%. In addition to a bloated risk of corpulency, diabetes, and tooth decay. And diet soft drinks may not be any better. In a recent Harvard Medical School study, women who drank two or more servings of artificially sweetened soft drinks daily were found to have double the risk of kidney function decline, which can destroy the organ. 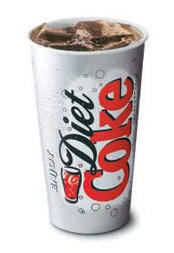 For all soft drinks, the devil is in the dose, so make soft drinks a special treat, or at least practice portion control.